Great photo! I really like the color. Wonderful shot!! 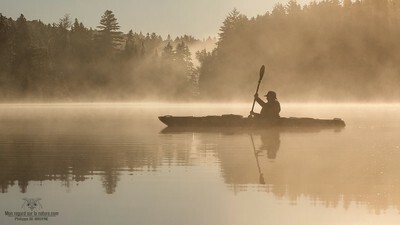 Reminds me of my father out in his kayak during our camping trips :)! The ultimate image of tranquility, lovely capture ! A perfect morning kayak ! !